Many Spartans choose the convenience of dining in one of our nine residential dining halls. 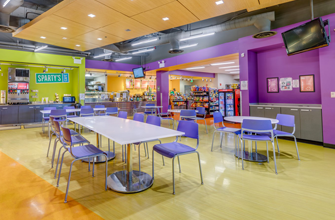 No matter where you live, work, study or play, there’s a residential dining hall nearby. Each neighborhood offers vegetarian options, comfort food, grill items, salads, desserts, international cuisine, pizza and sandwiches, breakfast items and more! 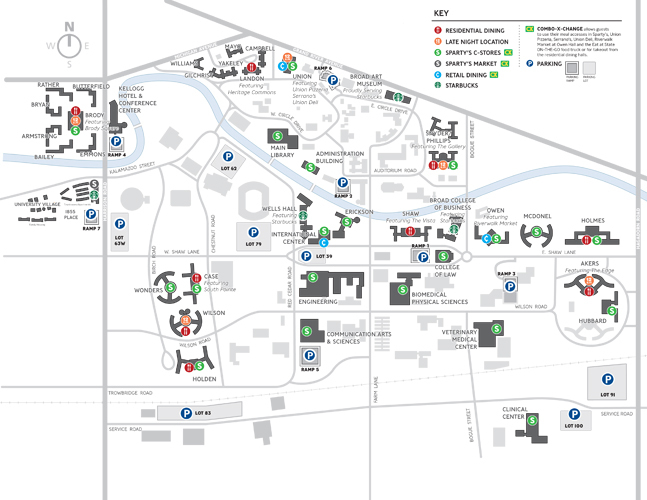 Please see below for a map of our dining locations across campus. Click here to access a PDF version. 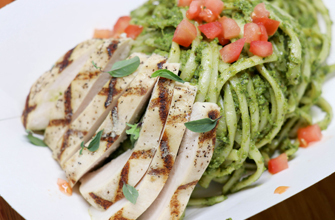 Culinary excellence at MSU is showcased throughout the nine dining halls across campus. Offering an array of options, Spartans always have a convenient dining choice that fits their needs. Offering all-you-care-to-eat dining during breakfast, lunch, dinner and late night, Spartans will never go hungry on campus. There’s even the option of takeout for those quick breaks between classes. The Eat at State ON-THE-GO Food Truck is MSU’s very own food truck. The truck operates seasonally and parks at various locations across campus for lunch and late-night dining. Offering rotating, seasonal menus using locally sourced ingredients from the MSU Dairy Store, MSU Student Organic Farm and more, the food truck offers guests a unique dining experience. With the convenience of 20 Sparty’s locations on campus, students are never far from a quick pick-me-up or bite to eat. There are three types of Sparty’s venues each offering its own specialty services for Spartans and campus guests. With monthly featured drinks and products, there’s always a deal to be found at Sparty’s! 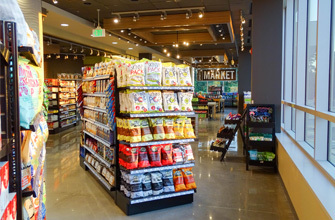 Located in 1855 Place on the west end of campus, Sparty’s Market is an urban market-style grocery store offering a wide variety of items. Students, faculty, support staff, community members and visitors to the area can stop in for breakfast dishes, deli sandwiches, prepared foods and grill items, dry groceries, health and beauty needs, household items, fresh baked goods and much more. 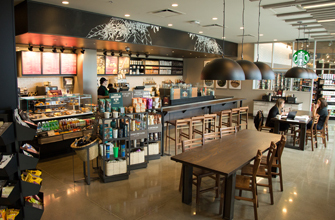 Culinary Services proudly supports three Starbucks locations on campus offering freshly brewed coffees, handcrafted espresso beverages, Frappuccino blended beverages, Tazo teas and more. Dessert and breakfast items are also available. MSU Starbucks also offers on-campus delivery of coffee, tea, pastries, packaged snacks and bottled beverages to university departments.